Gardening is a pursuit that teaches important life lessons... this week resilience, patience and wonder. After the attack of the killer sheep and the subsequent repairs to the fencing as well as putting up some wind proofing for my latest attempt at growing corn I thought we had catered for just about everything.... but not quite! Public enemy no 2 has been identified and no it is still not the white butterfly. This time it was unseasonal weather! 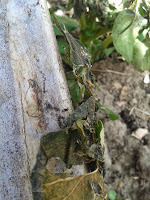 Check out the little video clip below to see what hit, literally, our garden earlier this week. 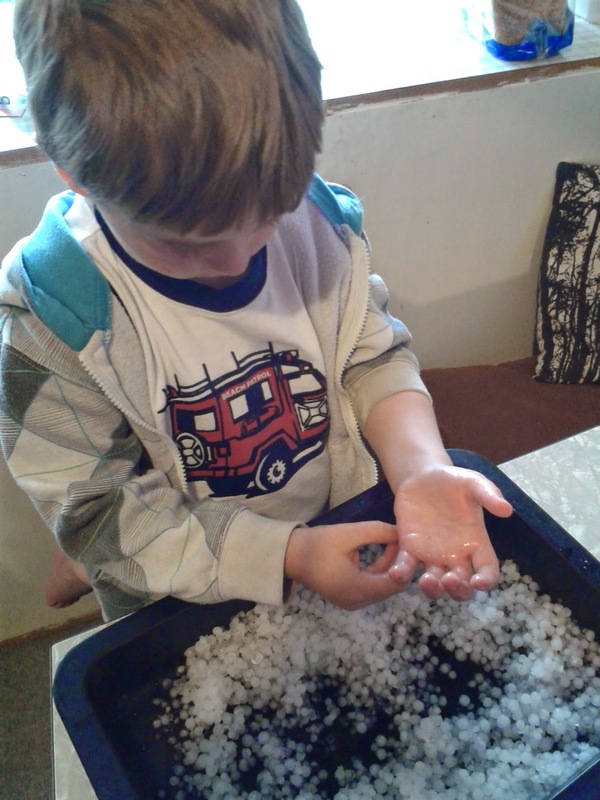 The size of the hailstones were quite spectacular too. bullets that pelted down from above. Worse still was the unexpected frost from the hailstones overnight as they did not melt away... the potatoes (largely self seeded) did not fare well as the blackened curled leaves here show. I am hoping that they might come away again though... fingers crossed. 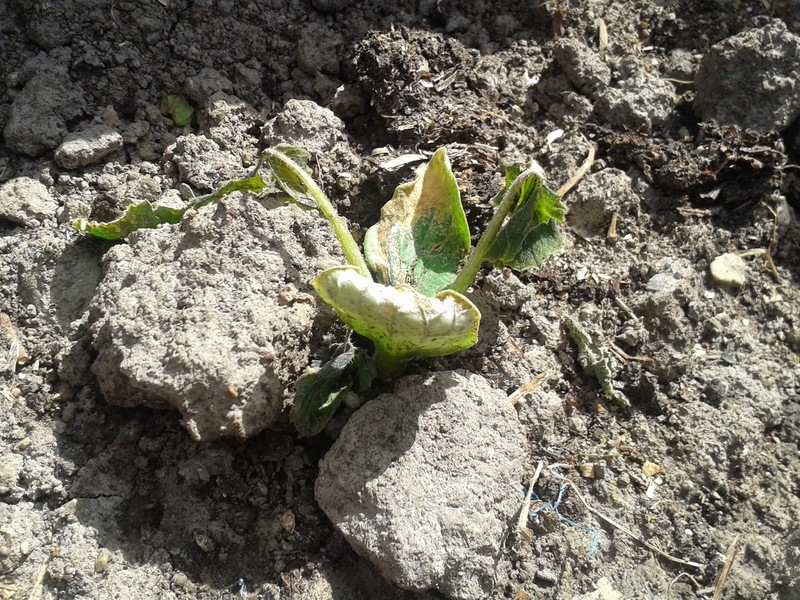 The pumpkin plants however do not look like they will come away again. 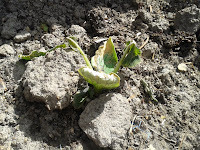 It was so disappointing as this is my second attempt with my pumpkin seedlings and they were looking so good, now they are yellowed, curling up and very sad. BUT this is gardening, and there's no point moping around about it. This is where resilience comes in, I could chuck it in claiming it is too hard with the pumpkins, the spinach and the brassicas but I have a glasshouse full of growing plants (and I am lucky I still have five pumpkin seedlings in the glasshouse to transplant). 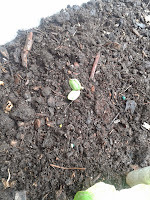 There are seeds coming away that we planted a couple of weeks ago and I thought were not going to strike... they are now popping up all over the place! 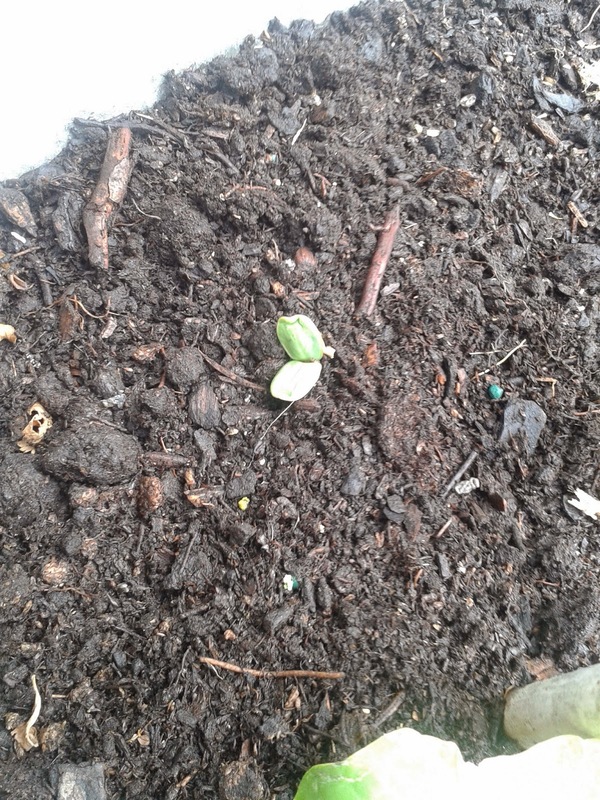 The other day I was looking at the bed where I had planted sunflower and sweet pea seeds two weeks ago and there was nothing happening, I had decided I would put nasturtiums in there instead when I got the time... well today I walked past and had a look to water a couple of seedlings I had planted earlier and lo and behold there are a whole heap of little seedlings now coming through, what a difference three days make! A little bit of patience pays off, and if they had been right up when the hail hit, who knows, they might not have fared so well. In gardening, as in life, you win some and you lose some. If you are prepared to focus on the wins, work through the losses and approach as much as you can with a sense of wonder then all going well things will bear fruit. Thanks for this Meg. Very timely in terms of life lessons. You are a very wise and reflective gardener both in the back yard and in the bigger picture of life!